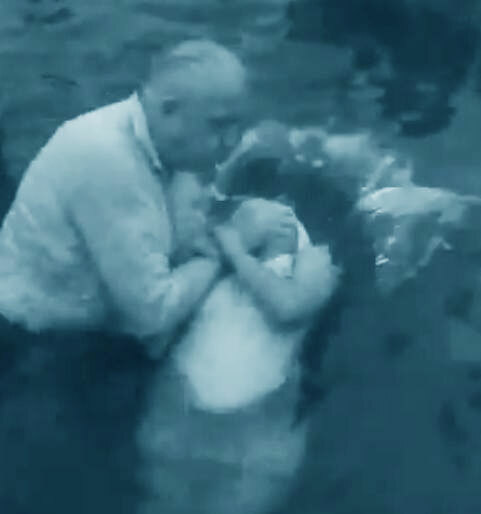 …JW baptism questions changed many times since Pastor Russell’s time? Thank you, Gareth, for your excellent question. That article only focused on major changes during the current generation of Jehovah’s Witnesses. The facts are clear – baptismal questions have had a long history of changes since Brother Russell’s time. When looking at this subject closely, it seems the holy spirit often sends conflicting messages when delivering “new light” to members of the Governing Body. Why have there been so many confusing and frequent changes? After all, the subject of baptism is basic to Christian doctrine. That fact alone should generate serious questions about the quality of the inspiration and doctrinal “new light” that the Watchtower’s Governing Body has been receiving from holy spirit. “What are the questions usually put [asked] by Brother Russell when receiving candidates for water immersion? (1) Have you repented of sin with such restitution as you are able, and are you trusting in the merit of Christ’s sacrifice for the forgiveness of your sins and the basis of your justification? (2) Have you made a full consecration of yourself with all the powers that you possess–talent, money, time, influence–all to the Lord, to be used faithfully in His service, even unto death? (2) On the basis of this faith in God and in his provision for salvation, have you dedicated yourself unreservedly to God to do his will henceforth as he reveals it to you through Jesus Christ and through the Bible under the enlightenment of the holy spirit? (1) Have you recognized yourself as a sinner and needing salvation from Jehovah God? And have you acknowledged that this salvation proceeds from him and through his ransomer, Christ Jesus? (2) On the basis of this faith in God and in his provision for redemption have you dedicated yourself unreservedly to Jehovah God, to do his will henceforth as that will is revealed to you through Christ Jesus and through God’s Word as his holy spirit makes it plain? Thank you for this historical overview of the questions posed to candidates for baptism.